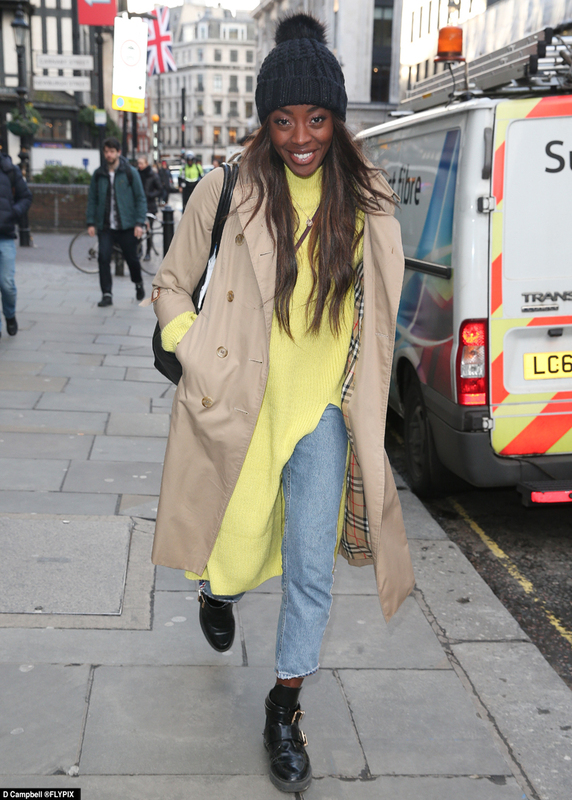 Wearing a knitted jumper dress, denim trousers, raincoat and ankle boots AJ turned heads when spotted by eagle eyed photographers. The popular TV presenter who co-hosts Trending Live was pictured as she ran errands through central London. AJ who recently presented Big Brother UK’s ‘Bit On The Side’ is now co-presenting popular music show ‘Trending Live’. Fashionable AJ who is also a fitness trainer looked super stylish as she headed out through central London.